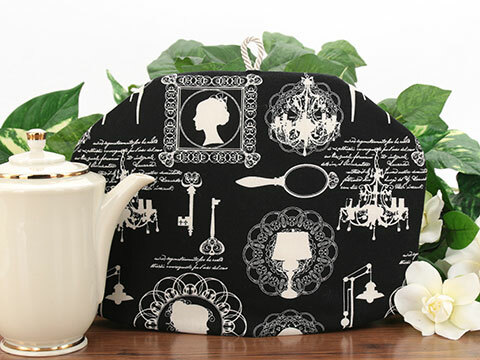 Tea and Coffee cozies with a very traditional or antique look. 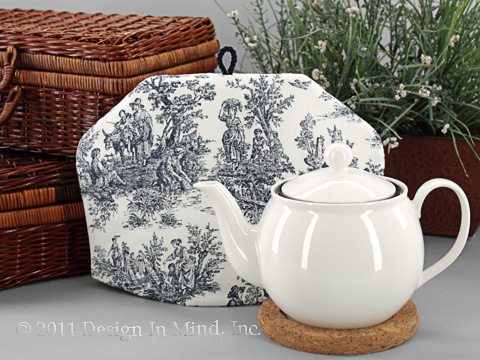 Tea cozies with a very traditional or antique look. These cozies are made to order and will be shipped typically within 1 week after your order is received. See the "Quick Ship!" group for tea cosies available to ship now. 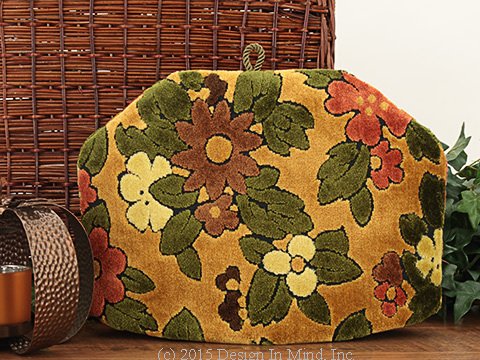 This Limited Edition tea cozy is made from high quality upholstery-weight velvet fabric, rescued from a cache of vintage fabrics in Grandma's closet. 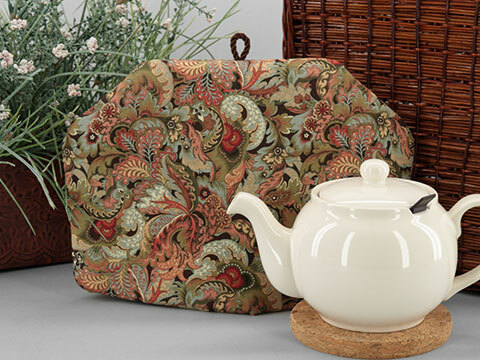 This wonderful tea cozy features fanciful feathery plumes in olive green, soft gray blue, shades of brick red, butter-cream and off-white on a brown background. Quilters cotton fabric. Very rich. 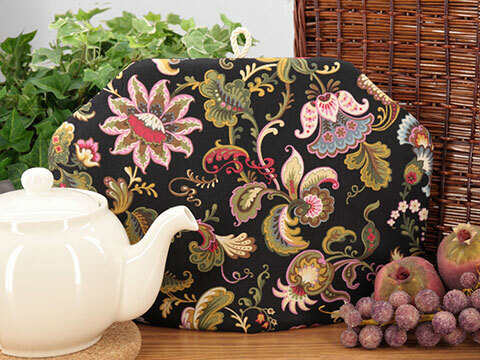 The fabric for this tea cozy reminds us of a 1930's wallpaper design in Grandma Lil's house. The fabric is a damask weave mint blue with salmon and honey colored flowers, green fern and a lacey yellow beige stripe. 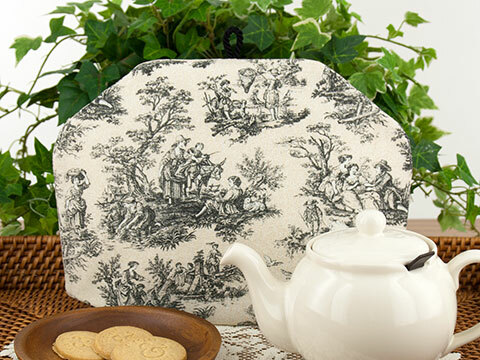 Traditional toile, pastoral scenes in indigo on heavy white cotton. 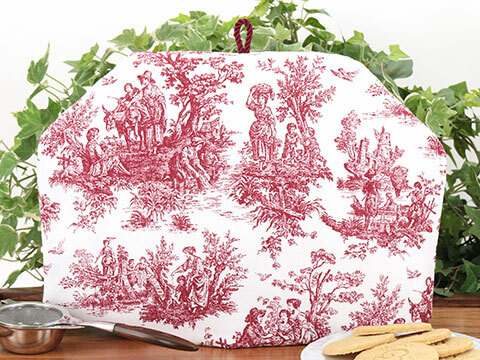 Traditional toile, pastoral scenes in red on heavy white cotton. 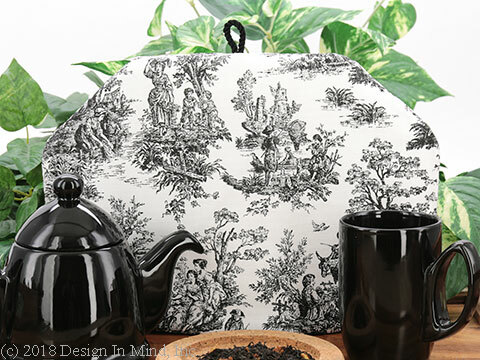 Traditional toile, pastoral scenes in black on heavy white cotton. 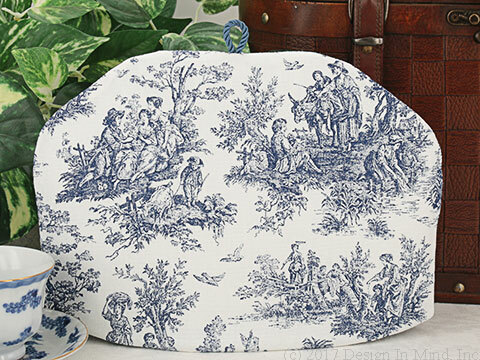 Traditional toile, pastoral scenes in navy blue on heavy white cotton.